Group H will be the last one entering in scene this summer, with Belgium, Algeria, Russia and South Korea lining up to also claim some of the spotlight. 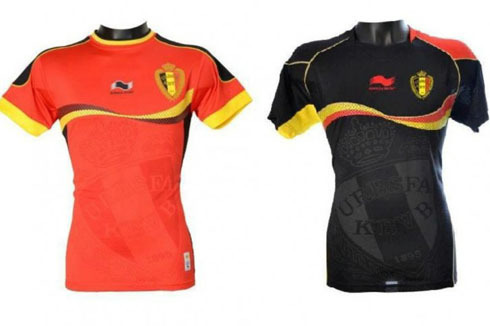 Even though the Belgium side is deemed to be one of the main contenders in this tournament, it will be interesting to see how they cope with the diversity of playing styles brought up by the remaining teams in this group. There might be one or two advantages of being the last teams joining the action in a tournament like the World Cup. Belgium, Algeria, Russia and South Korea are set to make their debut on June 17 and they'll only do it after having seen pretty much every other side in this competition playing their first round fixtures. Some might argue and say that waiting so long to take the stage can actually build more pressure and anxiety in the players, but at the end of the day, it will all depend on how each team gets mentally prepared for the challenges they have ahead. Belgium are the top favorites to advance in first place, while Russia seem to be the second strongest team here and therefore, holding more chances to also go through into the last-16 stage. Belgium topped their group in the qualifiers for this World Cup, after impressing everyone there in 10 games and without losing a single one (8 wins and 2 draws). They finished ahead of Croatia, Serbia and Scotland and they were one of the most consistent sides defensively across all Europe, conceding only 4 goals during their whole qualifiers group stage. They'll be making their 12th appearance in a World Cup this year and they are currently ranked as the 11th strongest team according to the latest FIFA World Rankings standings. In Brazil, the Belgium Team will try to do better than their most succesful campaign ever from 1986, in a tournament where they've finished in 4th place. This is probably the strongest squad that Belgium has ever had and it's not by chance that sports bookmakers are rating them as the 6th biggest favorite to win the World Cup this summer, by pricing their success with odds of 26. They arrive to Brazil with a tremendously talented group of players, spearheaded by Chelsea's star Eden Hazard, Manchester City's defender Vincent Kompany, Atletico Madrid's goalkeeper Thibaut Courtois, Manchester United's Adnan Januzaj and Everton's striker Romelu Lukaku. 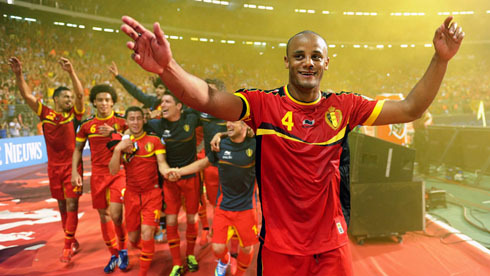 Belgium XI: Courtois; Alderweireld, Kompany, Varmaelen, Vertonghen; Dembele, Witsel, Defour, Hazard, De Bruyne; Lukaku. Algeria had to beat Burkina-Faso in the playoffs for this World Cup and they didn't exactly accomplish that with extreme ease. They lost the first away-leg by 3-2, but then they managed to turn things around in the second leg, with a short but enough 1-0 win at home. They advanced due to the away-goals rule and they'll be making their 4th World Cup appearance this summer. 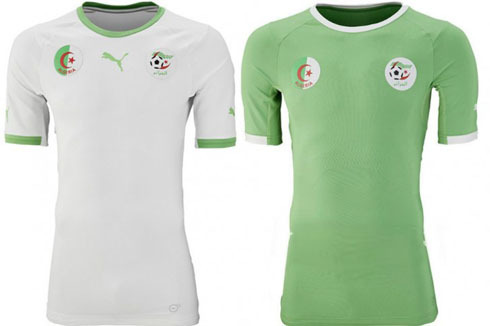 Algeria XI: Zemmamouche; Mandi, Belkalem, Halliche, Mesbah; Lacen, Brahimi, Guedioura; Mahrez, Slimani, Ghilas. Russia can be proud of being the main reponsible for Portugal to have needed to go through a playoff tie in their road to the World Cup. They finished on top of their group with 10 games, 7 wins, 1 draw and 2 losses, after scoring 20 goals and conceding only 5 during their whole qualifying campaign. Fabio Capello's men landed in Brazil with a bag full of hopes and even though Belgium are the prime favorites to clinch the first spot in Group F, no one can actually get that surprised if it ends up being the Russia Team the one advancing on top. They are about to get their 10th World Cup experience this summer and they come to this tournament ranked as the 19th strongest team according to the FIFA World Rankings. Russia 23-men squad that was brought into this World Cup comes with an interesting curiosity, which is the fact that they've only picked athletes playing in the Russian league. 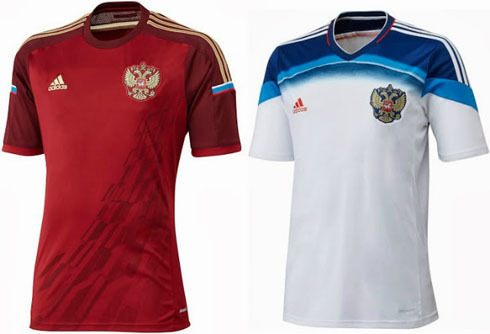 Moreover, previous key players such as Pogrebnyak, Andrey Arshavin and Roman Pavlyuchenko will all be missing the tournament. It's a team deprived of big names, but with Capello at the helm, Russia must certainly not be under-estimated. Russia XI: Akinfeev; Yeshchenko, Ignashevich, Berezutski, Schennikov; Samedov, Denisov, Shatov, Fayzulin, Zhirkov; Kokorin. The South Koreans may have qualified to the World Cup without even needing to go through the playoffs rounds, but the truth is that their performances over the last couple of years have been a bit disappointing. They finished their qualifying group in 2nd place, behind the leaders Iran and tied with the same points as Uzbekistan. They pnly won 4 of their 8 games during the qualifying group stage, but at the end, it proved to be enough to earn their ticket to Brazil. They'll be making their 9th World Cup appearance this summer, but repeating their results from the 2002 World Cup that they've hosted in their own country and where they've finished in 4th place, is deemed as an almost impossible mission this time around. Their last friendies before the upcoming tournament didn't give them many reasons to be very optmistic either, as they recently lost 4-0 against Ghana and 1-0 against Tunisia. South Korea XI: Sung-Ryong Jung; Chang-Soo Kim, Tae-Hwi Kwak, Suk-Young Yoon, Young-Gwon Kim; Sung-Yong Ki, Chung-Yong Lee, Ja-Cheol Koo; Kook-Young Han, Chu-Young Park, Heung-Min Son. Cristiano Ronaldo's next game will be his debut in the 2014 World Cup, in a match between Portugal and Germany, scheduled for June 16 of 2014, in Salvador (Brazil). You can watch Juventus live stream, Germany vs Portugal live, Spain vs Netherlands, Brazil vs Croatia live stream, and Argentina vs Bosnia, all matches provided from our World Cup live game pages.